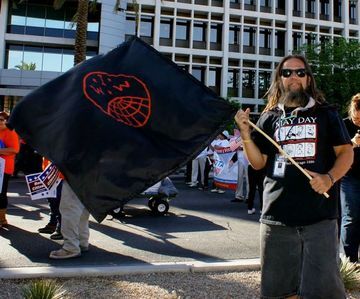 Despite some initial misgivings about some outside organizations attempting to exploit the International Day of the Worker for their own misguided purposes, this years May Day turned out great and there was an impressive visible turnout by Las Vegas’ IWW crew. Everyone that was there and helped to hold the ground for the true spirit of May Day deserves an enormous pat on the back. This week, the Anarchist Cafe will be part of a special event, hosted by Nevada Cop Block, which will focus on bringing accountability to Las Vegas area police. This will be an informational and organizing meeting regarding issues with police brutality, lack of accountability, and official corruption. In addition, there will be discussion about setting up regular actions based around bringing attention to and addressing those issues. Methods, goals, and acceptable outcomes will all be discussed. Also, information about how to get involved with local police “watchdog” groups, such as Nevada Cop Block (NVCopBlock.org), will be provided for those wanting to become more involved on an ongoing basis. 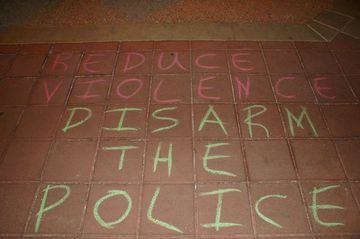 In the recent past Nevada Cop Block and assorted allies in the Las Vegas area have used chalking of strategically chosen public areas and government locations to bring attention to local issues. It’s proven to be a quick, easy, and effective way of making grievances known and ensuring visibility both by those being protested against and the public within the area. After several recent despicable actions by local officials, NVCopBlock is once again planning to take it to the streets to show our disapproval. We’ll be meeting up at the Clark County Government Center, where County Commission meetings are held (for reasons explained below) and then moving from there to the LVMPD headquarters buildings, which are within walking distance of each other. Signs are welcome, chalk will be used extensively at both locations, and creativity is always appreciated. Among other things, District Attorney Steve Wolfson has continued his pattern of disdain for the safety of the residents of Las Vegas and the surrounding area by refusing to hold Jesus Arevalo accountable for the cold-blooded murder of Stanley Gibson. Sheriff Gillespie of the Las Vegas Metropolitan Police Department has partnered with Wolfson and Chris Collins, of the Police Protective Association (police union), to ensure that such accountability will never be an option by pushing through a proposal that reversed all of the Coroner’s Inquest Reforms that had already been passed with the intention of creating a more fair and transparent process, which would actually lead to accountability for questionable shootings by police. Finally, the Clark County Board of Commissioners lead by Steve Sisolak, Larry Brown, Susan Brager, and Mary Beth Scow voted to approve that proposal in spite of the fact that the new proposal is worse than the former Coroner’s inquest process that had functioned so poorly as to prompt an outcry for those reforms. This vote was taken during a commission meeting in which the inclusion of this proposal on the agenda was only announced a couple days earlier to ensure that public turnout would be limited. And for good measure, Metro’s own Sgt. William Wilson illegally entered someone’s back yard and unnecessarily killed their pet dog last week. Now that we’ve officially survived the Mayan Apocalypse , it’s time to get together and celebrate the continued existence of the Las Vegas Anarchist Cafe. …The related issue of Coroner’s Inquest reforms that have already been approved several times and ruled constitutional (in response to police lawsuits) by the NV Supreme Court, but which are in danger of being overturned in favor of a completely meaningless dog and pony show that Sheriff Gillespie, LVPPA head Chris Collins, DA Steve Wolfson, and Commissioners Steve Sisolak and Larry Brown cooked up prior to the last Commission meeting. A vote between the two proposals is scheduled for the end of January. The Las Vegas Industrial Workers of the World and labor issues in general. …Related issues surrounding gentrification and corporate use of political ties to force local workers and small business owners out in order to replace them with other corporate raiders and their slave labor products. Of particular emphasis is Zappos’ efforts to sanitize and whitewash downtown. The so-called “Fiscal Cliff” and how newly r/elected politicians are expertly using it to justify going back on pretty much every promise they made just over one ago. Why it’s completely unsurprising and has in fact been predicted by most of the regular A-Cafe attendees. Also, why most of the general population will completely accept it, but how we should reach those that finally manage to pull that curtain back. And of course, whatever YOU want to discuss. As usual, we generally have members of various local groups including Las Vegas Food Not Bombs, Nevada Cop Block (NVCopBlock.org), the Sunset Activist Collective, The Las Vegas Industrial Workers of the World, LVWORCS (co-op resources and support group), OccupyLV, and others in attendance. So, if you have an interest in getting involved in local activism, the A-Cafe is good place to connect with people already involved within the community. This week we will continue planning for the candlelight vigil in honor of Stanley Gibson scheduled for June 12, which marks six months since he was murdered by a member of the LV Metro Police Department. We’ll also discuss the official launch of Nevada Cop Block, a police accountability group. Plus, in honor of the upcoming Memorial day holiday, we’ll be discussing nationalism, the ways in which governments use it to manipulate people, and the importance of challenging it publicly. 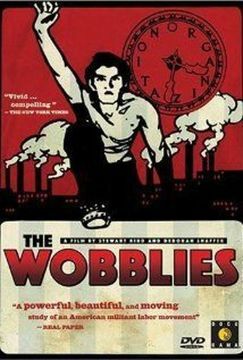 In addition, we will be discussing the IWW and the necessity of labor activism in today’s economy. As well as hosting the weekly organizational meeting for Las Vegas Food Not Bombs. Other potential subjects to be discussed include corporatism within the downtown community and efforts to facilitate gentrification by local politicians. And of course, any subject/project you might want to discuss.